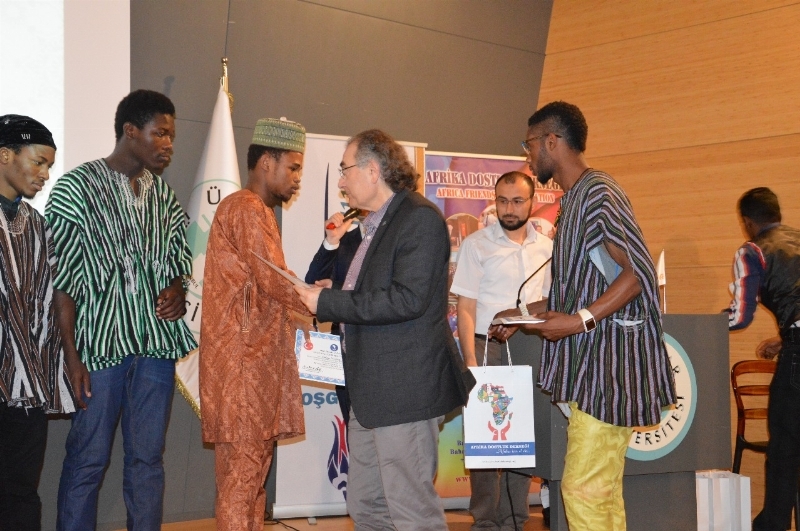 Üsküdar University hosted the 4th African Culture Week and Graduation Ceremony. The ceremony was organized by the association whose name is ADDER in short. The African students enthused the attendants with their intriguing show. Üsküdar University’s Rector Prof. Nevzat Tarhan attended the ceremony which was held in Nermin Tarhan Conference Hall. Tarhan pointed out that African students will serve as ambassadors of Turkey in wherever they go and Prof. Tarhan also presented their diplomas to the graduated students. The opening ceremony started with the chant of Kuran-ı Kerim and continued with the opening speech given by Şemsettin Türkan, the President of African Friendship Association, ADDER. Türkan mentioned the fact that Üsküdar University presented full scholarship to 10 African students in the last 4 years and continued by stating that the aim of the association is to improve the social and cultural ties of Turkey and African citizens, introduce Turkey to Africans, introduce Africa to Turks at the same time and become businessmen in their own countries after finishing their education in Turkey. 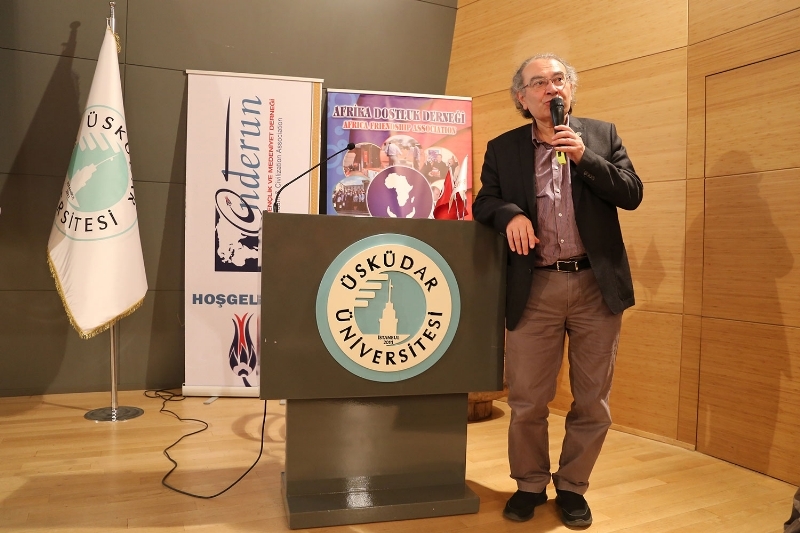 Dr. Şemsettin Türkan, conveyed his thanks to Nevzat Tarhan because of the important support given by Üsküdar University and expressed his satisfaction from the participation. Üsküdar University Rector Prof. Nevzat Tarhan gave some advices on the professional life that will start after graduation. Tarhan advised the students to be hardworking and determined and also underlined the fact that it is as vital to believe in faith as being decisive. Tarhan stated that African students who graduated will be serving as ambassadors of Turkey in the future and congratulated all of them. Throughout the program, African folk dances, folklore and fashion shows and other forms of shows from African cultures were exhibited. The audience accompanied the show with applause and watched with great pleasure. In the last part of the ceremony, ADDER members of the Board of Directors and the protocol handed out the diplomas and gifts to the graduated students. Kenyan Muna Abdullah who graduated from Üsküdar University Health Sciences Faculty Nursing Department and the rest of the African graduates received their diploöes from Rector Prof. Nevzat Tarhan. The ceremony finished with a photo shoot of all the students and participants.